The NFC North should be a three-team dogfight this year, so this bitter rivalry has particular importance. A loss would be a real blow for either team — and especially the Packers after their opening setback. After losing only once all of last year, starting off 0-2 would definitely not be the way things were supposed to start out. The Bears were dominant in their opener, though obviously against a much worse team than they are facing here. To continue that dominance and strike the first blow in the divisional battle they will need to reverse the trend of recent history. The Packers have won the last four meetings between the squads, and six of the last seven. 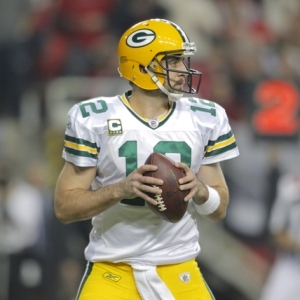 Green Bay has also been very kind to bettors, as they have covered seven of nine meetings dating back to 2008. The biggest challenge in handicapping this game is that I don’t think we really know much about either team yet — at least not based on what we saw in their opener. The Bears were indeed impressive as they won by 20, but they were playing against an Indianapolis squad that just isn’t very good. There was a lot to like — their pressure on Andrew Luck was relentless, for example, and that caused him to make mistakes. Luck still managed to throw for 309 yards, though, so they didn’t exactly shut down the passing lanes. Did Luck find passing success because the game was out of hand and the Bears were only focused on not giving up the big play, or are there bigger issues that a guy of the caliber of Aaron Rodgers will expose early and often? Will Brandon Marshall continue his strong play, or did excitement and an outmatched opponent lead to his excellence? Lots of questions. There are at least as many questions surrounding the Packers as there are for the Bears. Green Bay didn’t just lose their home opener — they were manhandled by the Niners. The 30-22 score was very flattering for the team. Of course, they were against a team that showed they are the class of the NFC at this point. San Francisco was consistent offensively and excellent on defense. That Green Bay lost like they did is concerning considering how good they were last year, but San Francisco was good enough to beat some very good teams, so there isn’t a lot of shame in losing to them. If Green Bay can bounce back strong in this one then they have a talent edge to go with their locational edge. It’s as if they were playing a step slow against the Niners, though. If they haven’t shaken that issue then Chicago is more than good enough to make them pay. A big issue for bettors to keep an eye on here is the health of Chicago CB Charles Tillman. He’s a Pro Bowler, and a key to the defensive success the team has. He went out early in the opener with a knee injury. It doesn’t seem to be serious, but he has been missing practice this week. So has Brian Urlacher, the heart of the defense. The status and availability of the two defensive stalwarts will have a big outcome on the game. Tillman in particular is significant — Luck was able to exploit his absence, so Rodgers will go to town if he’s out of the lineup. The line opened with the Packers favored by five points, according to NFL odds. The opening struggles for the Packers didn’t scare the public off as 60 percent of bets have been on the home team, and that has driven the line up to six points. There is some momentum for the line to move even higher — some books are trying seven points as I write this, though the majority aren’t as yet. The total opened at 51, and has been reasonably stable at that level. The Bears are good at maintaining momentum. After the last six ATS wins by the team they have followed up with another cover each time. Green Bay has gone “over” in their last four games, but the “under” is 8-1 in the last nine between these squads. A lot of what the Packers did in their opener made me uneasy. I had a bad feeling about the Packers heading into this season — concerns about the potential hangover effect of such a bad playoff loss last year -- and that game certainly didn’t ease those issues. That being said, I don’t trust the consistency of Jay Cutler, I question the defensive depth for Chicago, and I think that the opening effort against the Colts gave people an inflated sense of where this team is at. Green Bay has no excuses for losing this one, and I expect them to come out on top. I also think they are the right pick, though I would be sure to get in on them while the spread is below a touchdown. The total doesn’t offer much interest in this one as it seems fairly reasonable. If forced to take a side, though, I would go over.